The Best of Teacher Entrepreneurs III: Free Misc. 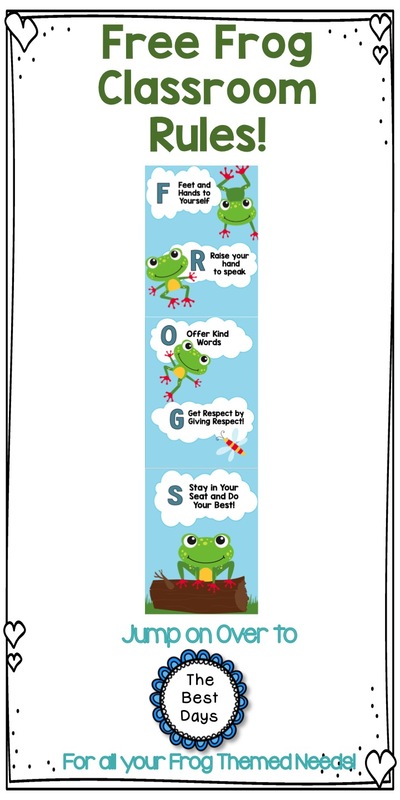 Lesson: Free Frog Rules for Your Frog Themed Classroom! Free Misc. Lesson: Free Frog Rules for Your Frog Themed Classroom! Looking for something to make your Frog Themed Classroom JUMP? 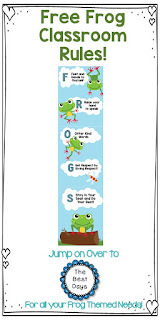 Check out this FREE Frog Themed Rule Banner from The Best Days! Super simple to put together-just trim and glue the pieces to create a banner! Are you interested in more fun Frog Themed Decor? Check out my other paid products found at my store! While you are there, click the green star to FOLLOW ME! Check me out on Facebook as well! Or, jump on over to my blog to see what's up in my classroom that makes all my days THE BEST DAYS!